PDF format lets you share files easily and safely without having to worry about the content being altered. You can also add watermarks as a way of protecting your sensitive files. Wondering how to password protect a PDF on Mac? 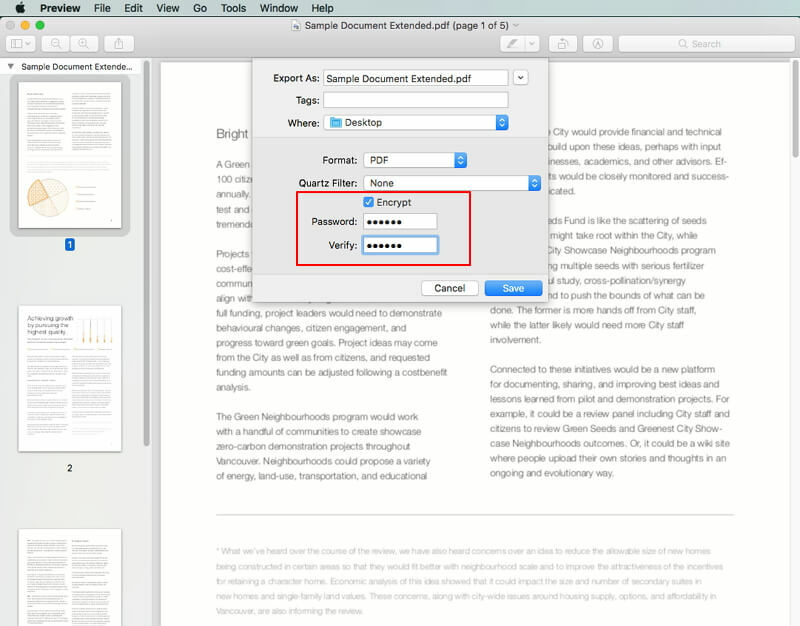 In this guide we will show how to password protect PDF on Mac with PDFelement for Mac. The article below will show you how to encrypt PDF files with PDFelement for Mac. Once you have opened PDFelement on your Mac, open the PDF file you want to protect by clicking the "Open File" button. Once your PDF file is open, go to the top toolbar and click the "Protect" button. Then from the sub-menu, click on "Password > Encrypt with Password". If you want to restrict others from opening your PDF file, select "Require a password to open the document" in the pop-up window to set an open password. Enter any password you'd like. To restrict the PDF from being edited or changed, select the "Permissions" option to set a permission password. You can also customize settings by choosing whether to allow printing or changes. If you want both restrictions, select both. After changing the settings as required, click on "OK". Once you save the PDF file, the protection will be enabled. 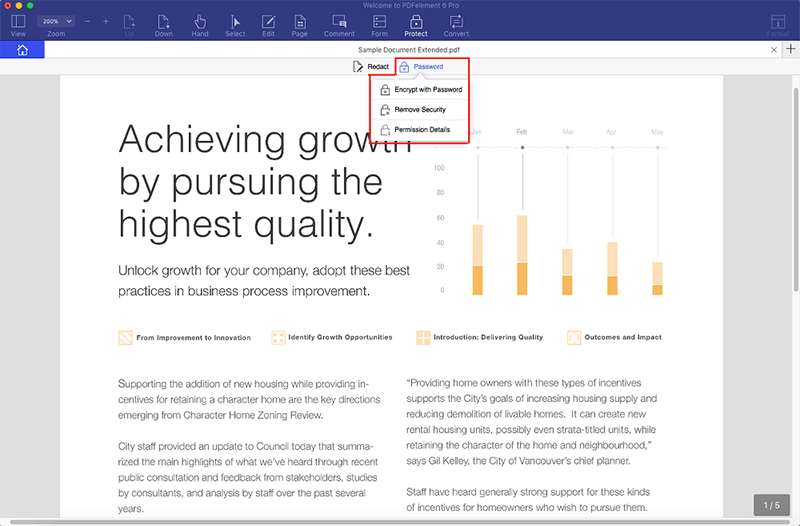 Preview is another tool on Mac that lets you add passwords to protect your PDF file. However, it only lets you add open passwords. Preview also won't let you unlock a PDF on Mac. However, PDFelement for Mac should still be your choice. 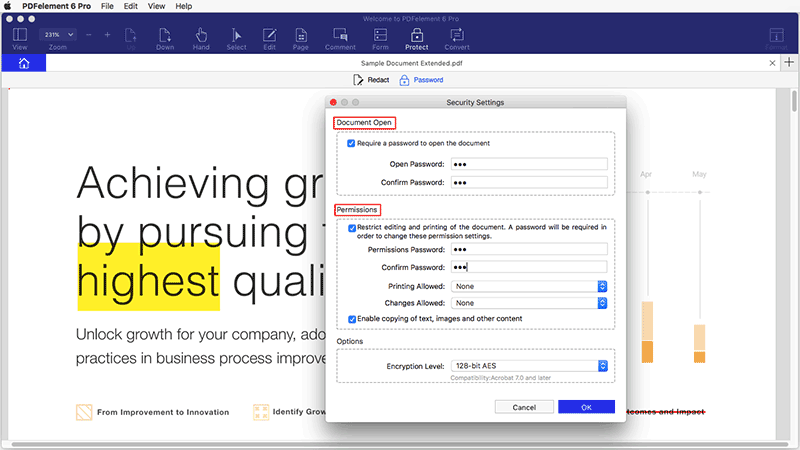 Below, we outline the steps to follow if you are wondering how to password protect PDFs on Mac using the Preview program. 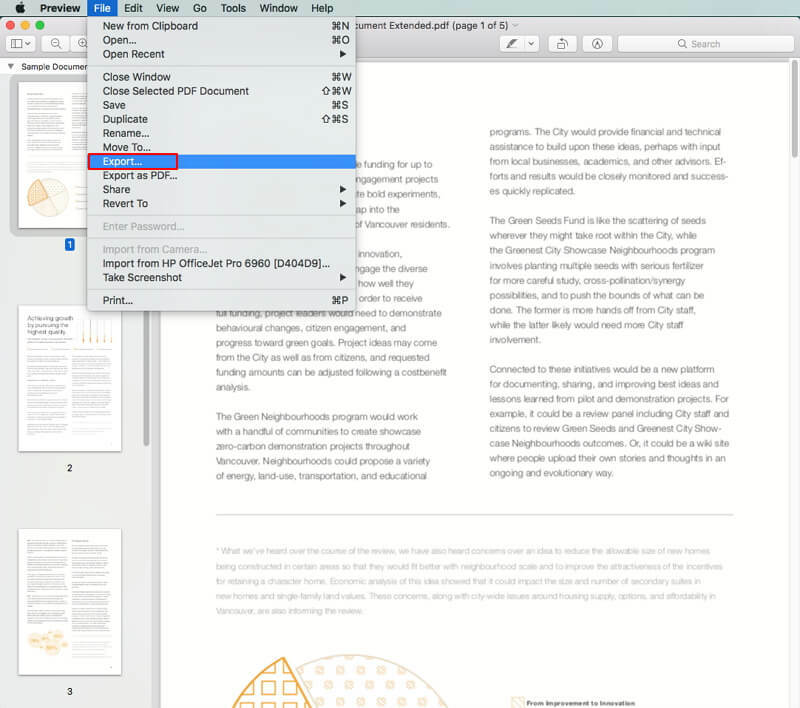 Double-click a PDF document to open it with Preview directly (if Preview is your default PDF reader on Mac). Then click the "File" > "Export" button in the top menu. In the new pop-up window, select the option of "Encrypt". Enter and verify your password. After clicking the "Save" button, the password will be applied to your PDF document. PDFelement for Mac is your best option for protecting PDFs in batches. It is a reliable PDF password protector that lets you add passwords to your PDF with ease. 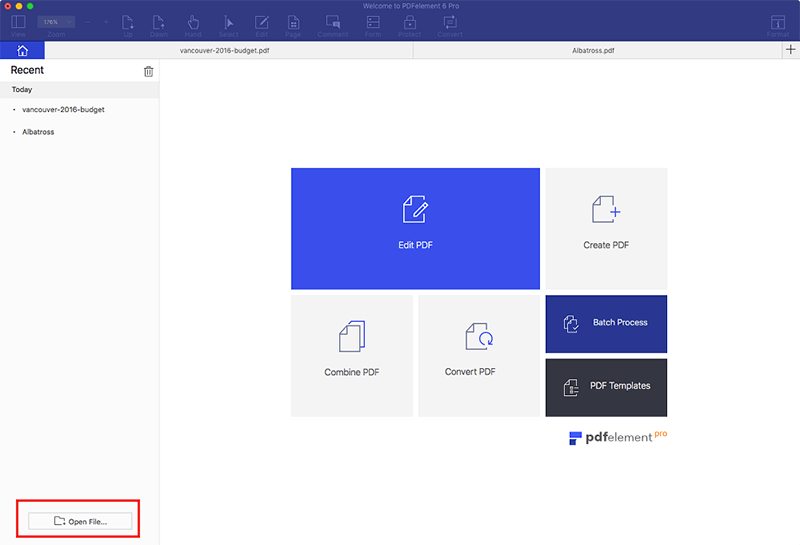 It has an easy-to-use interface that lets you restrict your PDF from being printed, altered, or copied, or from having pages extracted or comments added. You can also remove a password from a PDF using this tool, and see the properties of a PDF file. PDFelement is a PDF creator, editor and converter. With this tool you don't need anything else - it is an all-in-one PDF solutions, which is compatible with macOS 10.10 (Yosemite), 10.11 (El Capitan), 10.12 (Sierra), 10.13 (High Sierra), and 10.14 (Mojave). On the Home screen, click on the "Batch Process" button to open the Batch processing pop-up window. Choose "Encrypt" from the top menu. Then add all the files you want to protect. After that click on "Next" to set passwords and permissions. Next you'll need to set passwords for opening or editing your PDF. Finally click "Add" to enable protection of your document.